China does not offer Visa on arrival. Thus, it is important to apply for tourist visa before you travel to China. Usually, one will need a letter of invitation from a Chinese friend or relatives before you can apply. If you do not have one, you need to book your hotel and provide a detailed itinerary of the trip. Visa can apply at the Chinese Consulate. Citizens of Singapore, Brunei and Japan does not need to have Visa to enter China. Read here to find out more about how to apply Visa. Although oone may not require visa when travelling to Macau or Hong Kong, chances are you likely need to have one to enter Mainland China except Pearl River Delta or Hainan Island. As China’s Firewall block site such as Facebook, Youtube, Google Map and Instagram, it is important to prepare yourself if you want to stay connected with such site. You can purchase a VPN or sim card that allows you to roam in China. We bought Sim card from (Qoo10) and manage to surf without any issue. If you plan to register a Sim Card in China, remember to bring your passport along! You can purchase their pre-paid plan about 99 RMB for 30 GB from China Unicom at the official store. We purchased a China Sim card 3 years ago and it was not tourist-friendly. If I remember correctly, a fee will incur if you stop loading credit/purchase plan for the sim card. Thus, you need to physically go back to the shop and terminate your prepaid sim card. We all know cash is king in China but with cashless payment mode such as Alipay and Wechatpay, it has change the payment system in China. From street food vendor to transportation, it is accepted almost everywhere. High Speed Rail (HSR) Getting around from city to city is easy with High Speed Rail. However, getting the ticket is not as easy. In the past, Foreigners are can only purchase the tickets from the counter and the queue is forever long. And yes, tickets to major city/weekend get sold out easily. Tickets are available 1 month in advance. Understand from a friend that foreigners can now purchase the train tickets from ctrip aka trips.com A transaction fee of 5USD will be charged and you can pick it up from train station. Arrive at the station 30 mins before departure time because it can be very crowded. Normal Train or overnight trains (Train Code Z, T, K) are alot cheaper than HSR (Train code G,D,C). 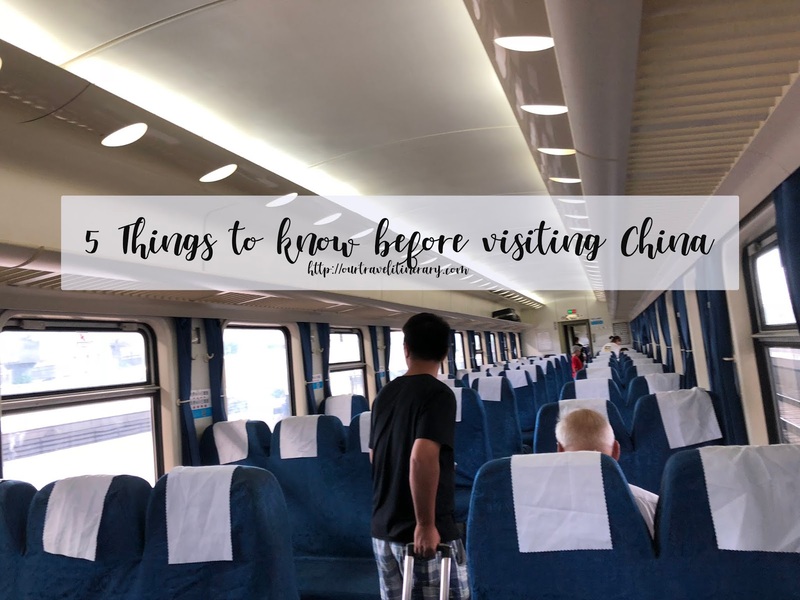 We took the slowest train aka from Ningbo to Shao Xing and it was definitely an experience.